The royal sisters appear to be celebrating the recent engagement, which was announced earlier this month. 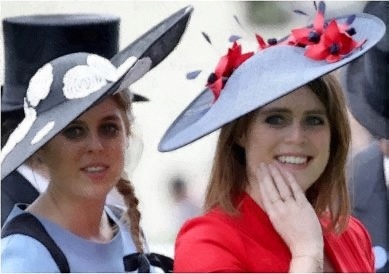 Princess Eugenie was wearing a monochromatic ensemble, which showed an elegant checked coat and knee-high boots. Princess Beatrice opted for a sleek grey long-line coat and a thigh-skimming navy frock during the night out on the town this weekend. They were not the only pair who were spotted when they leave Mayfair’s Arts Club as Jack Brooksbank followed his new fiancée and future sister-in-law. Meanwhile, Princess Eugenie and Jack are going to get married in the autumn at Windsor Castle, which is the same venue for Prince Harry and Meghan Markle’s wedding in May. The couple had informed Queen Elizabeth II that they would like an Indian Summer wedding in September. Perhaps other royal commitments would change the date of the couple’s wedding to October.